We’ve all seen examples of pitiful proofreading. How do you make sure your brand isn’t next in line? These days, brands are everything. They have their own personalities, their own Twitter feeds – even their own blogs. We spend months developing strategic marketing plans, weeks getting our message just right, and a sizeable chunk of our budget on marketing that makes us stand out from the crowd. It adds up to a significant investment of both time and money. Yet how many of us have risked that investment, only to find a typo in the title at the end? When even our gr8 gran cn spk txt, maybe it’s understandable that we think we can leave proofreading to the computer spellchecker. We know we shouldn’t. Computers can’t check context: they don’t know if we meant there, their or they’re, affect or effect, loose or lose. And – oops! – you just spelt manager as manger. Sorry, it won’t spot that either. P45 anyone? We’re all under pressure – our inboxes buckle under the strain of hundreds of unanswered messages, our ‘to do’ lists get longer every day, and somehow there’s never enough time… it’s no wonder we end up cutting corners. You’re too close to your own work to proofread it yourself, and your colleague’s just as busy so there’s no point asking them to do it. Perhaps, but it should never be proofreading. 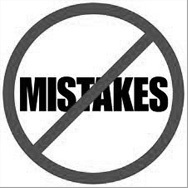 Mistakes damage the brand you’ve put all that time and effort into controlling. Even the smallest error can make your company look unprofessional – losing you sales, and driving customers to do business with your rivals. Conversely, accurate copy is more convincing, more effective and a whole lot more desirable. Consider professional proofreading as security on your investment. It may be another expense, but it’ll pay for itself many times over. A specialist proofreader will check a lot more than your spelling. They’ll check for consistency, grammar and syntax, typographical errors, alignment – and sense. Theirs know point making shore all you’re words our spelt write if you’re sentence makes know scents. Neglecting proofreading is like filling your home with expensive furnishings then cutting costs by not buying locks for the doors. As the saying goes, ‘There’s never time to do it right, but always time to do it again.’ Don’t learn the hard way.